The security of our clients’ data is extremely important to us. ARG has a 15 year history of establishing and refining its controls to secure client data in an ever changing, and increasingly connected world. To demonstrate our commitment to security, ARG has successfully completed the Service Organization Control (SOC 2) audit for its data center. By completing the SOC 2, Type 1 examination, we affirm our long standing commitment to strong controls and safeguards for handling and processing our clients’ data. Principles and Criteria of Security, Availability and Confidentiality. 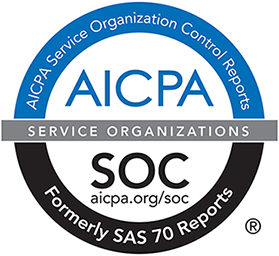 With the SOC 2 report, we can now document our internal controls for processing data, and support our commitment to data security, as established by a widely recognized internationally trusted authority.